ReSound LiNX – It’s just the greatest thing ever! 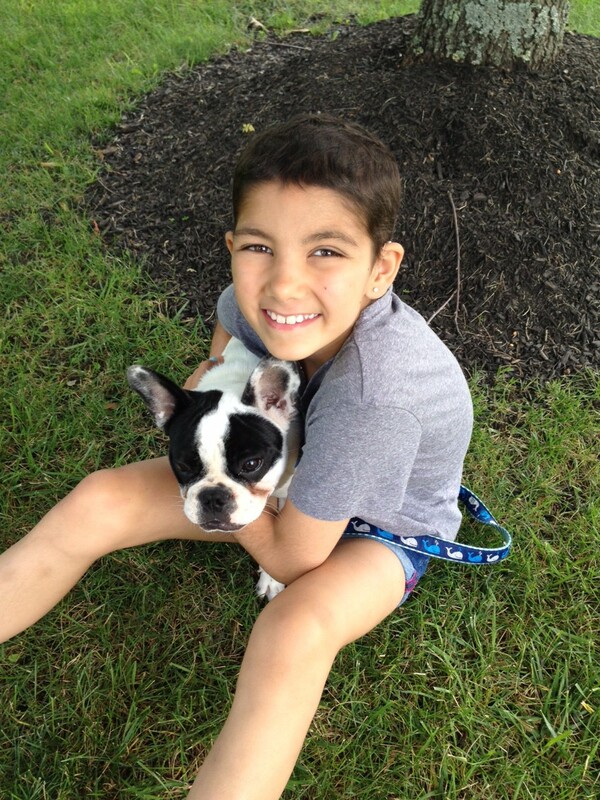 Grace with her dog Topy – named after the first chemotherapy drug she took, Topotecan. “It’s just the greatest thing ever. And the easiest thing!” says Sharon West of New Jersey, about her 11-year-old daughter Grace’s new ReSound LiNX™ hearing aids. Grace is just like any other soon-to-be 6th grader – fun, smart, energetic and social. Grace is also in the middle of battling neuroblastoma, a cancer common in children. The chemotherapy designed to fight her cancer has caused her to lose some of her hearing. Sharon knew that Grace would need hearing aids designed to keep up with her daughter’s busy lifestyle. “I’m sure there are a lot of people who are resistant to wearing hearing aids but these hearing aids are different,” says Sharon. So, she was delighted to learn that Grace would receive a free set of hearing aids through ReSound’s philanthropy program. In early July, Grace was fit with her new ReSound LiNX by New Jersey Hearing & Tinnitus Center. Like any middle school student, Grace was less-than-excited at the idea of needing to wear hearing aids. Once they were fit, she immediately realized all the sounds she had been missing; like the blinking turn signal in her Mom’s car. She was also impressed by how comfortable they were; often forgetting she was even wearing them. Comfort and technology are definitely important but what makes Grace most excited is the fact that her hearing aids are hardly noticeable. On a recent car trip, her older brother asked her, “Are you wearing your hearing aids today?” Grace replied, “Yes, you just can’t see them!” Grace soon remedied that by “bedazzling” her hearing aids – adding jewels and charms – and a new fashion statement was born. Because ReSound LiNX is Made for iPhone, Grace can use her iPhone to take phone calls, watch YouTube videos, connect with friends on FaceTime and listen to music. She loves that she can hear sound from her iPhone directly in her hearing aids and that she can even adjust the volume by using the ReSound Smart™ app. Grace also plans to utilize the ReSound Unite™ Mini Microphone when she goes back to school in the fall. The Mini Microphone will help ensure that Grace can hear what her teacher is saying from any desk in the classroom. Along with school, Grace looks forward to getting back to her favorite activities like swimming and soccer but in the meantime she won’t be missing a beat as she helps out in the role of swim coach for a junior level swim team. Keep up with Grace by following her on Instagram at instagram.com/cookiescrumblers. Thanks for sharing your story, Grace! Apple, iPhone and FaceTime are trademarks of Apple Inc., registered in the U.S. and other countries.